With the harsh cold of winter behind us, it’s time to enjoy the warmer, longer days of spring. That means trading in your heavier duty apparel for lightweight options that are breathable yet durable enough to withstand the season’s temperamental weather. This selection of products will provide you with the comfort and unbeatable protection you need to make the seamless transition into spring. Police work is tough work, and it can be tough on your clothing. That’s why the designers at First Tactical prioritized durability for its Defender Series Uniform. For example, knees are reinforced with a double-layer kneepad pocket to extend the life of the pant. The same strategy has been applied to the shirt’s elbow area. Wearers will appreciate multiple layers of ventilation on top of the cotton/Cordura Nylon blend fabric for breathability. 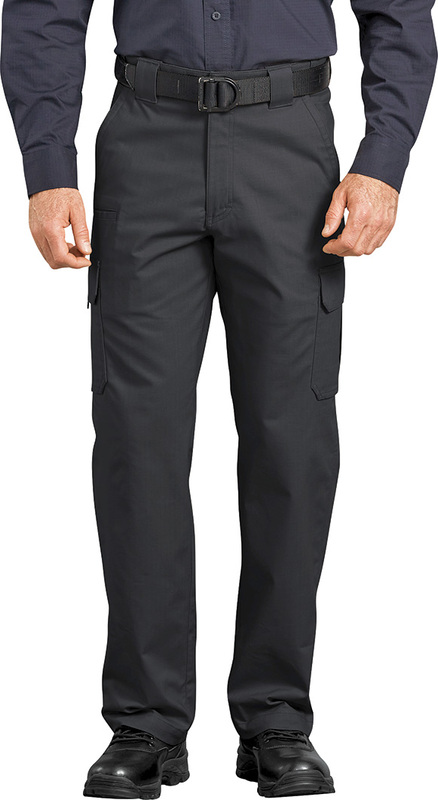 A total of 28 pant pockets offer more than enough storage opportunities while the Defender Shirt also features specialized pockets, including oversized ones on sleeves. MSRP: pant $149.99; shirt $89.99. With the amount of gear police officers have to don for duty, storage compartments that allow for easy, quick access are paramount. Safariland has produced the STX Duty Rig belt to enable individuals to pack on as many items as comfortable and effective. Officers can personalize their duty rigs by adding a variety of accessories, such as baton holder, double magazine pouch, flashlight holder and even a surgical glove holder. A SafariLaminate finish gives a professional presentation with a semi-gloss leather-like grain texture, but more importantly, offers durability and hassle-free maintenance. MSRP: belt $33–$118.50; accessories $4–$128.50. For occasions demanding a Class A uniform, you still can make comfort a priority. 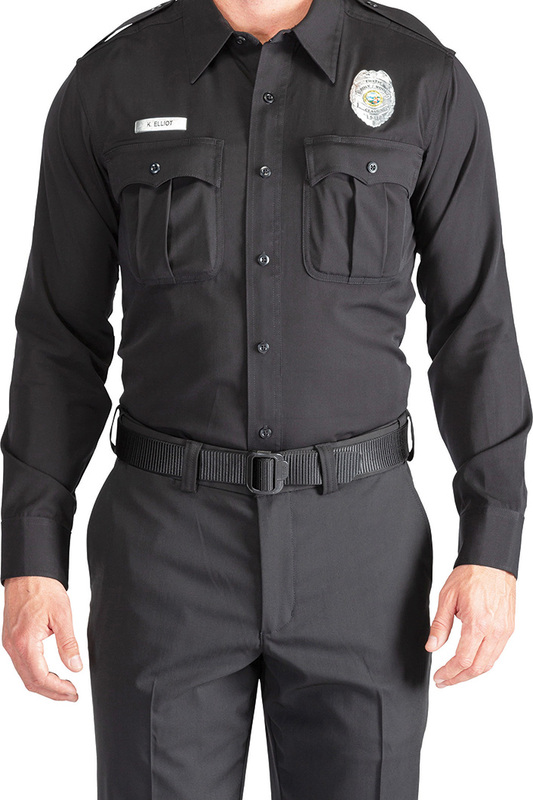 The Flex-Tac Poly/Wool Uniforms from 5.11 Tactical, in partnership with the Woolmark Company, work to keep officers warm and dry in rainy weather. Wool is renowned as a fabric that provides natural thermoregulation, but it also wicks moisture away, prevents abrasion and maintains its shape and color over time. Both shirts and pants feature a Teflon finish to fight against stains. Also, pants have permanent creases, two hip pockets and doubled-welted rear pockets. Uniforms include both men’s and women’s cuts, and come in black, midnight, silver tan and sheriff green. MSRP $99.99–$109.99. The best way to tackle the unpredictable transitional weather is by layering; you can remove layers when the day warms up and put layers back on when it feels cold or starts to rain. 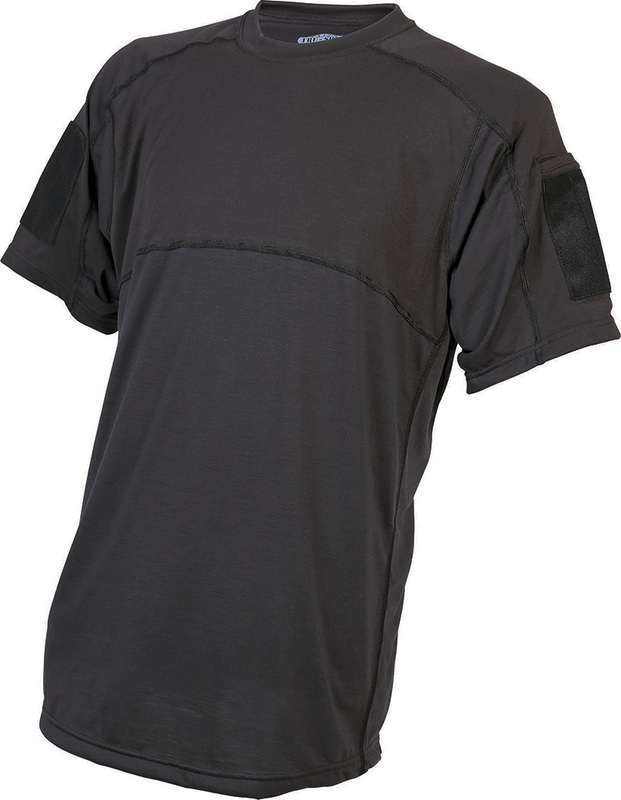 Start with a temperature-regulating shirt like the OPS Tac T-Shirt from Tru-Spec that can be worn as an under layer or on its own. Added to the company’s popular 24-7 Series, the Tac T-Shirt is made from drirelease fabric, which has proven to wick away moisture and dry quickly. The polyester-cotton blend also helps regulate body temperatures, up to seven degrees cooler on hot days. Tactically speaking, creators added a welted loop-pocket panel with hook-and-loop closure on the left sleeve. A three-loop panel on the right sleeve holds small items, such as pens. Sizes range from S to 4XL.MSRP $35.95. The latest Sublite Cushion Tactical boot from Warson Brands, the official Reebok licensee for duty and uniform footwear, features much-welcomed updates. 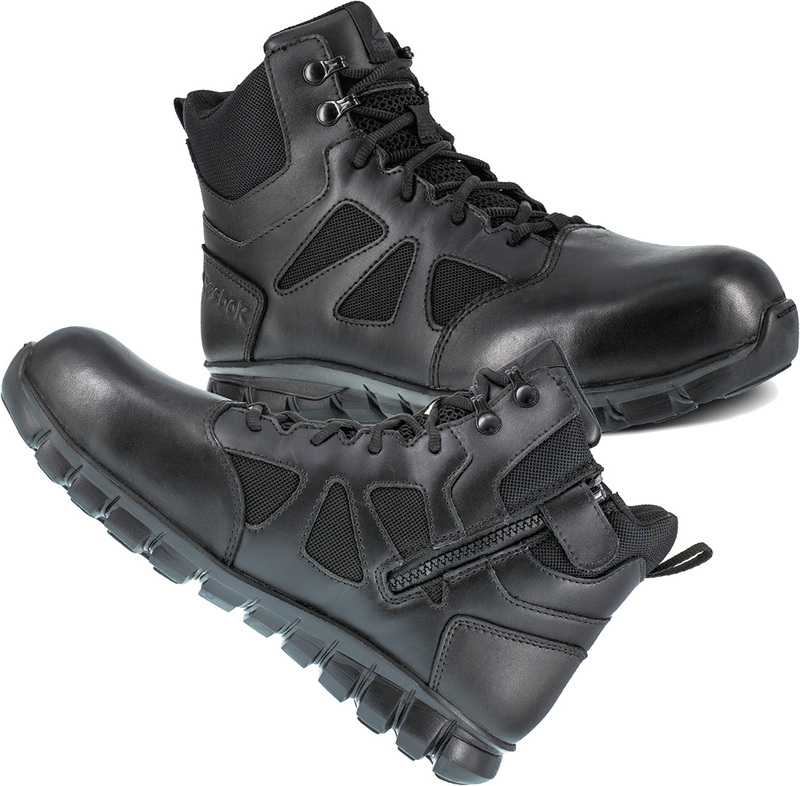 The RB8606’s 6-inch design includes a composite safety toe added at the behest of law enforcement professionals. Another new feature is a side zipper for easy on and off. Back by popular demand is the Sublite foam midsole technology featuring deep-flex grooves that absorb shock while allowing for natural movement. Designers also brought back the MemoryTech massage removable cushion footbed that conforms to individual contours and provides slip resistance. MSRP $160. 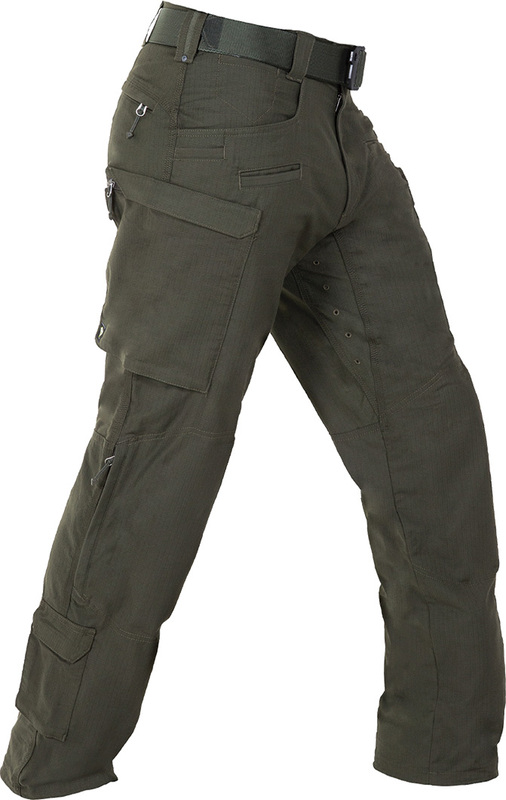 Ripstop Cargo Pants by Dickies offer a relaxed fit, but are totally equipped to tackle any tactical situation. Stash extra ammunition in the magazine pocket hidden within the large side cargo pockets. 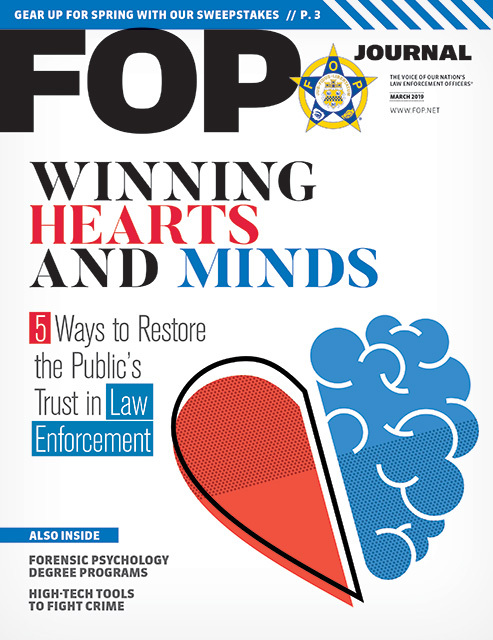 L-shaped front pockets hold small items officers need at the ready, including a spot to discreetly clip on a knife. There’s also a front leg pocket for phones. Constructed from a flexible performance-stretch material, these pants accommodate freedom of movement. Available in black, midnight blue and khaki. MSRP 42.99–$46.99.